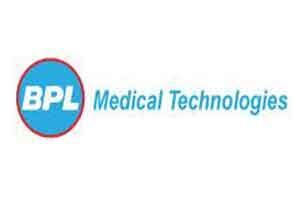 In order to provide easy access to some basic physician requirements, Bengaluru based BPL medical technologies has introduced m-health service. It is an easy method adopted by patients to measure their ECG, heart rate, and blood glucose levels. In addition, patients can also avail mobile consultancy from the doctors. The service also enables patients to maintain a healthy lifestyle by offering additional services like calorie, and step count. m-Health service is also likely to be extended into the rural areas by being available it in multiple languages. There are two variants available in the market currently, and priced at Rs 16,500. The company is hopeful of making further inroads into the country, given the penetration of smart phones in India, and the easy comparability of the product with android based devices. The device is also perceived to be affordable, as a comparable product will cost Rs 60,000 upwards. Given the wide prevalence of these diseases, monitoring one’s health, is crucial to their prevention. But regularly visiting a doctor and taking a laundry list of tests is cumbersome and expensive. More so because there is an acute dearth of physicians: roughly 0.7 doctors to 1,000 persons, says the World Health Organisation. As reported by HBL, “This unique service is enabled through BPL LifePhone Plus. “The device can be synced to the Android smart phone application, which documents the user data and transmits it to the cloud via Bluetooth, where it is stored them,” explains Kavea S Abhishek, Product Marketing Manager (m-health), BPL Medical Technologies.. After this, the patient can seek a consultation and get medical advice from a specialist on-board, or from a specialist of his/her choice (mapped into this service) using the smartphone, she adds.